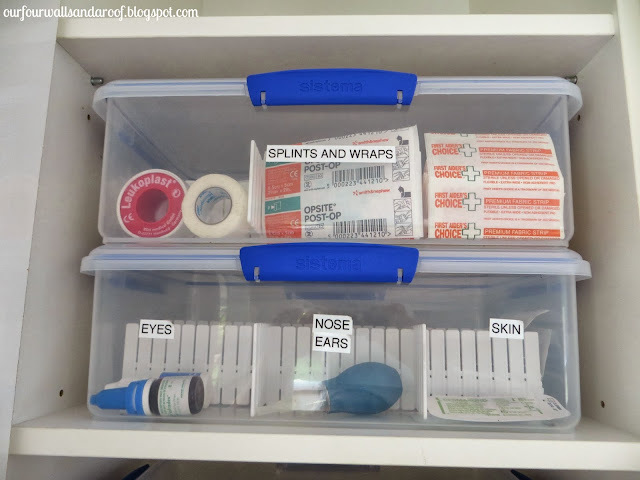 I store my first aid in a cupboard up high in the kitchen. 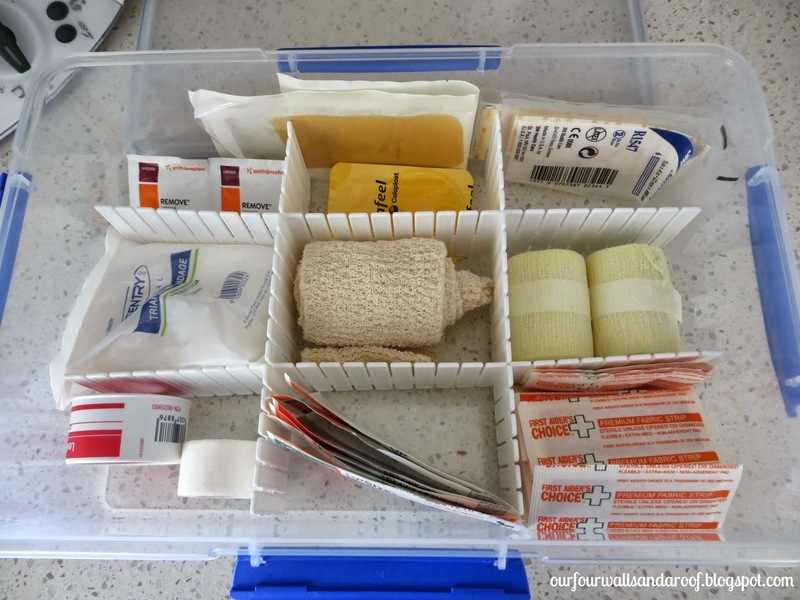 Both my children have a rare connective tissue disorder called Ehlers-danlos Syndrome and I need to be prepared for anything, my daughter who is 6 has unfortunately had her fair share of skin glue or stitches due to her fragile skin. 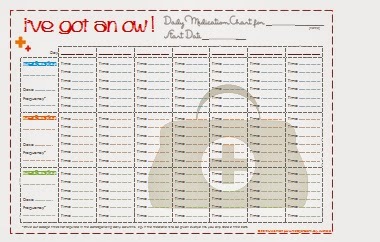 This is just one of three medical kits in my house but this is my primary one, my husband is a Registered Nurse. I've got four containers, three of which have dividers to separate the items. I've also got the "I've got an ow" printable up on the inside door where I track the medication for my children. 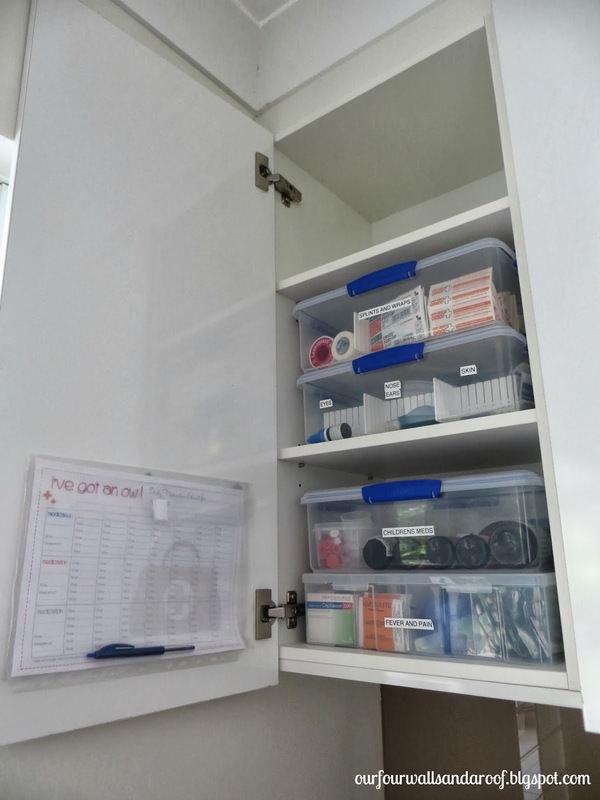 The dividers in the below containers were purchased from Howard Storage world, they are called the Fifi Drawer Separators. I measured the containers and then snapped off the excess. I like to separate my medications, here I have the Children's Medications and the adults medications are located in the fever and pain container. 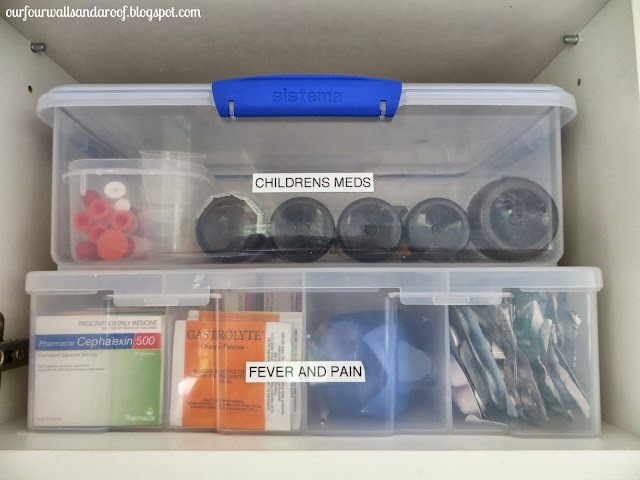 Inside the fever and pain container, you can fit a lot into these containers. Inside the Splints and Wraps container to show you how the dividers work, you can customize them to any size you want. 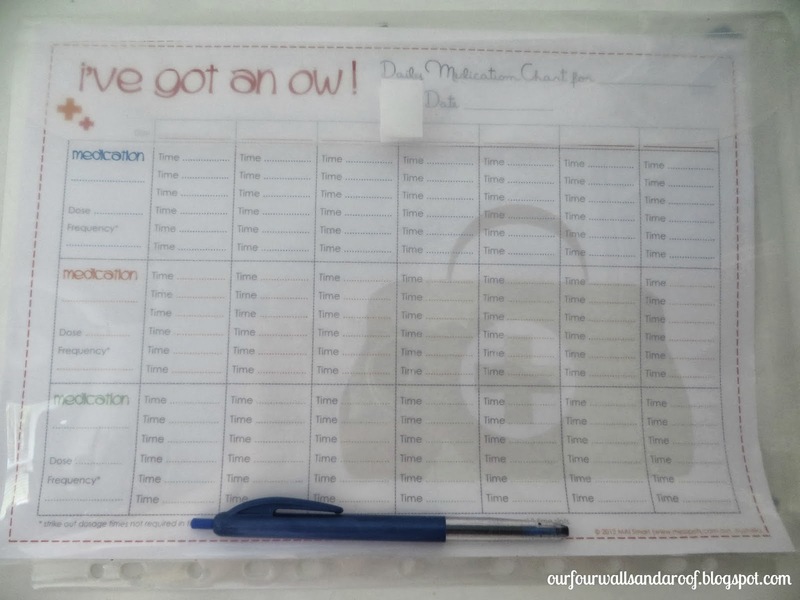 Finally, this is the printable that I use to track the medication, I purchased a see through envelope from Officeworks and stuck it on the door. 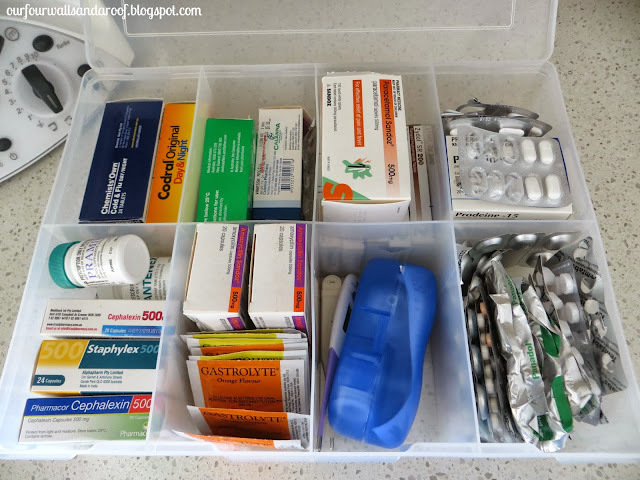 When I'm out and about, I carry with me what I call my walking pharmacy, I will do a blog post on that shortly.